Grégoire moved to New York City to study at the New School University's Jazz Department in New York City upon graduating from the prestigious Conservatoire Supérieur de Musique de Genève. 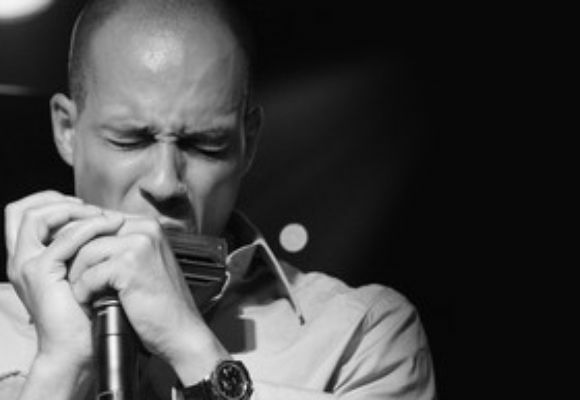 Today he is one of the most sought after harmonica players in the world: often compared to legends Toots Thielemans and Stevie Wonder, he has been asked to play with an incredible number of famous musicians including YoussnDour, Me' Shell Ndegeocello, Pete Seeger, David Sanborn, George Benson, Cassandra Wilson, to name a few. In 2003 he was the subject of Swiss filmmaker Frédéric Baillif's documentary Sideman, which won several awards. In 2005, Grégoire toured with the Pat Metheny Group, receiving a Grammy for Best Contemporary Jazz Album for their album The Way Up. He also won the Jazz Journalists Association Player of the Year Award. After his Grammy win, Maret embarked on a two-year tour with the worldclass bassist Marcus Miller and subsequently joined Herbie Hancocks band. Following his time with Herbie Hancock, he co-led the jazz trio Gaïa with pianist Federico Gonzales Peña and drummer Gene Lake. He also recorded an album, Scenarios, with Andy Milne in 2007. In 2010, Grégoire Maret played at The Concert for the Rainforest with Elton John and Sting.